WDCSITE is delighted to host the 2018 Annual Conference and Business Meeting. This is a revamped format of the awards luncheon. 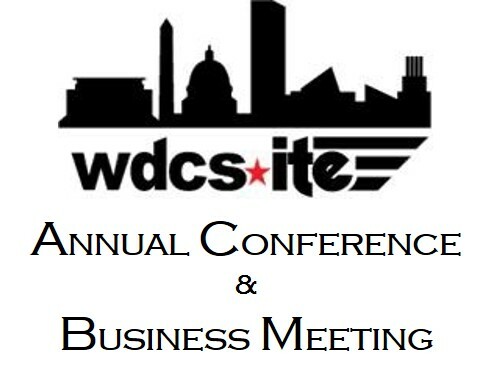 Please join your fellow WDCSITE colleagues in celebration of another successful year of WDCSITE’s events and accomplishments at the 2018 Annual Conference and Business Meeting. This conference includes roundtables, panel discussions, technical presentations and finally concluding the event with the annual awards presentation and lunch. The following are the 2018 WDCSITE Award Winners! Congratulations! PDH: 5 PDHs will be included as a part of the 2018 WDCSITE Annual Conference and Business Meeting. Food: Breakfast, refreshments, and lunch will be served during this event. Please click on the link below to register for the event!